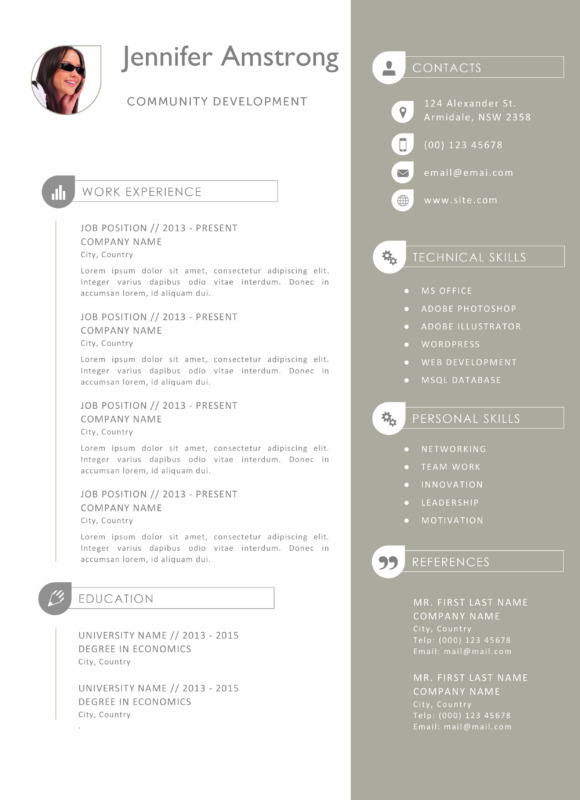 The highly sophisticated Jennifer Resume Template is sure to get your resume noticed amongst the masses. This particular template uses a two-tone approach to ensure that your resume stands amongst everybody else who boasts that generic and rather boring black & white approach. The photograph at the top helps to make that resume look a touch more personality and ensures that it is your resume that the potential employer remembers. 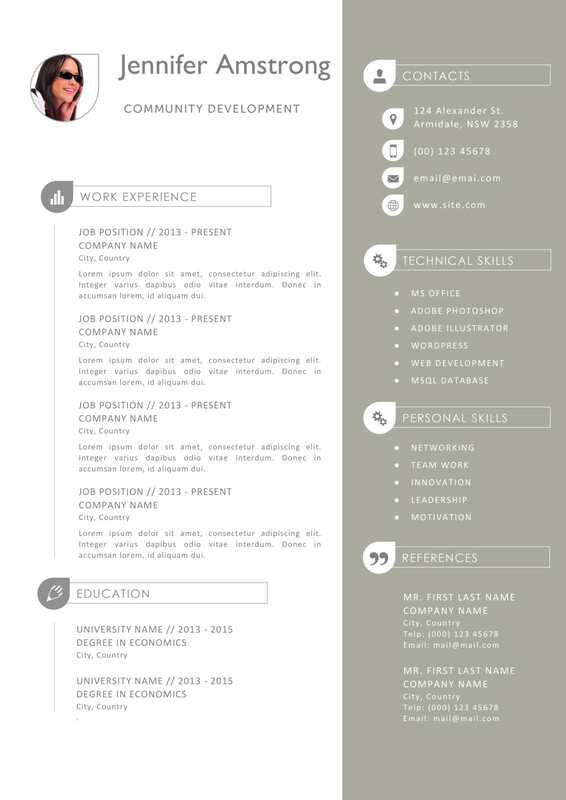 The sleek layout of the Jennifer Resume ensures that you are able to fit all relevant experience on just a single page. The information, which is well-headed, ensures that the employer is able to find the exact information that they want straight away. Editing the template is simple. It needs to be loaded up into your favorite Word Editing program (works for both Microsoft and Apple). Within minutes you will have the resume that will boast your chances of securing your dream position!